There is little, if anything, that Peter Scoones does not know about underwater image making. A BAFTA and two Emmys surrounded by numerous other awards are testament to his creative achievements. But it is Peter's dual expertise in both artistic cinematography and technical wizardry which make him both unique and extra-ordinarily accomplished in this challenging field. His creative talent has taken him many times around the world for a string of unrivalled wildlife documentaries, many for the BBC Natural History Unit in the company of perhaps the greatest and most distinguished wildlife presenter ever known, Sir David Attenborough. However, he also designs, builds and maintains all his equipment and remains at the very cutting edge of his field today after an underwater career spanning nearly five decades. He made his first film with an 8mm camera in a homemade Perspex box in the early 1960's, using only a mask, snorkel and fins. 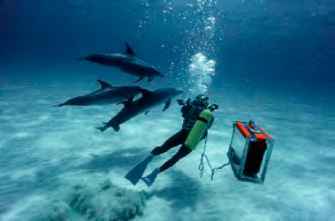 From there he has progressed to become one of the leading wildlife natural history underwater cameramen in the world. When I arrived to interview him at his central London flat he was designing a new viewfinder because the cameras he uses have changed their configuration. "Necessity is the mother of invention" says Peter. Born in Wanstead, North London in 1937 to a sailing family, a marine career seemed almost inevitable. After school he qualified as a naval architect but on subsequently passing the entrance exam to the Royal Naval College at Dartmouth for commissioned officer training, his eyesight was tested below standard. So, when National Service loomed, instead of two years as a naval clerk he signed up for nine years in the RAF "to learn something useful". That something was photography. and snorkels from the Navy and scrubbed the hulls underwater. Having never previously considered what was under the yachts he raced, Peter observed the shoals of pretty, colourful fish feasting on the debris. Around the same time Hans Hass's boat moored nearby and Peter had a 'eureka' moment. Hass was already his hero and Hass's presence and the lovely marine life meant the area was probably a prime location for the beautiful images he had seen on TV and in the cinema. So, after persuading the Navy to teach the basics on their O2 rebreathers they formed a diving club. "The RAF disapproved of diving, considering it a dangerous activity, but we ignored them" Peter grins. Due to limited equipment they became highly adept at snorkelling and learned to skip breathe. "I could hold my breath underwater for 3-4 minutes, I still do it. You can't film while breathing it disturbs you, makes you wobble". Due to the lack of kit, as a temporary measure using RAF machine shops, recycled aircraft oxygen tanks and various hoses Peter built a couple of aqua lungs. "Demand valves are fairly simple things" he says, with typical understatement and modesty. Already hooked on the underwater world through snorkelling, Peter's first ever dive, off Palau Tekukor nearly 50 years ago, was not without drama. Attached by rope "the tanks were very valuable, we didn't want to lose one" he floated down over the drop-off and with "wow" on his lips as a school of batfish wafted gently by he was completely captivated. With his skip breathing technique he stayed down far longer than expected for the air in the tank, so the crew began hauling the rope in. As he was being drawn inexorably towards a large cluster of nasty black sea-urchins, the stings of which can be very painful and indeed serious if multiple, he planted his feet firmly on the wall and pulled as hard as he could. Not only did his first dive feature beauty, awe and danger, he also incurred the wrath of the Far East boxing champion who he pulled into the water on the other end of the rope. returning them to stores and claiming a replacement, thus acquiring pristine sheets of Perspex to model housings from. He made cement from Perspex chips dissolved in chloroform, controls from used hydraulic linkages and created waterproof shafts - this was before o'rings were widely available. Unlike today when you can buy a housing off the shelf, there was nothing for it then but to build his own and in this he was truly a pioneer. "There was the Rolleimarin designed by Hass but that was way outside our budget, Nikonos which evolved out of Cousteau's Calypsophot didn't emerge until 1963, necessity is the mother of invention - if it doesn't exist, build it". There was that signature phrase again. not production quality and could not be used commercially. Peter immediately rejected 8mm, bought a 16mm camera and says "I could never afford to film for myself again. The film was so expensive I had to get paid in order to fund it". 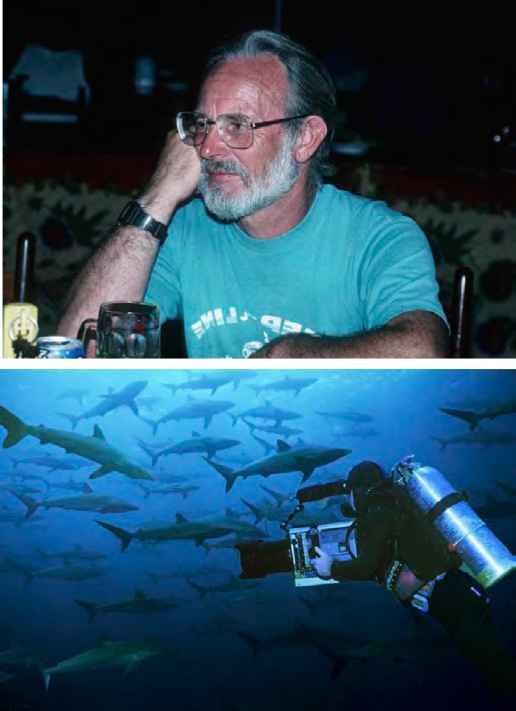 Around this time he co-founded the British Society of Underwater Photographers (BSoUP) with Colin Doeg. Colin, a journalist at the time, has himself contributed significantly to British underwater photography including taking the first picture in British waters ever to win an open international underwater photographic competition. BSoUP is still going strong today boasting membership from many of the foremost underwater photographers in the UK. Having just celebrated it's 40th anniversary, Peter and Colin are still both regular attendees at the meetings in London, a testament to the down to earth nature of both these amazing men. pints of sea water out of his custom-made camera housing and begin to salvage his expensive video camera anywhere on land or sea. Surrounded by an awe-struck audience and often an ashen producer or client - he can strip his camera down to its carcass, wash and sun-dry all the vital electronic circuit boards and have it working again in as little as a couple of hours". 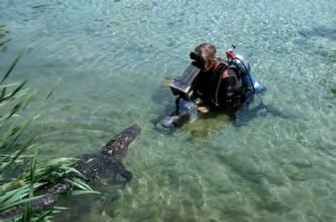 Colin continues "Peter is hugely talented and is probably the most self-sufficient wildlife underwater cameraman in the world. He has introduced many new ideas, including the use of polecams and cameras slung beneath radio controlled rafts. In the early days in the UK he pioneered the concept of standard sized openings in the body of housings so the ports were interchangeable, something we all take for granted today. He also used to produce correction lens from raw Perspex and blow his own dome ports". At the end of his nine year stint he left the RAF and joined a colour laboratory in London. For the next few years he absorbed as much as possible about underwater filming. To supplement his strong technical background and optical knowledge he thoroughly researched and read everything ever written on the subject, teaching himself. "I learnt from anyone who could tell me" he says, "I was a sponge, soaking up everything that I needed". During this time Peter became involved in a production company and continued to push the boundaries of underwater filming. Combining his by now extensive knowledge with an electronics expert colleague, they invented systems for the oil industry. One such project was developing inspection cameras for the BP offshore oil platforms. The only other equipment in existence was inadequate for the low visibility of the North Sea. 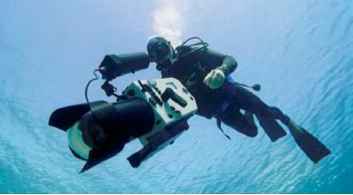 So, necessity calling again, they developed a camera based on the silicon-intensified technology being used by NASA which functioned in low-light and worked remotely from the platform without the need for divers. Their reputations spread and one day there was a knock on the door of the workshop in Richmond just outside London. 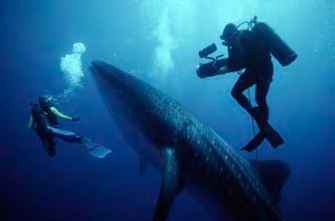 It was David Attenborough (subsequently to become Sir David) and a colleague from the BBC Natural History Unit who wanted to film a live coelacanth in low-light conditions, something that had never been done before. The primitive looking, pre-historic coelacanth, which usually lives around 1,000ft deep, was only rediscovered in the last century after scientists thought it had become extinct along with the dinosaurs, 65 million years earlier. Attenborough was heading to the Comores islands as part of the BBCs 'Life on Earth' series to follow up reports of local fishermen hauling coelacanths up from the deep. He had heard about Peter's camera and wanted to hire it. Peter seized his opportunity. Not only had he read about the coelacanth in school and long harboured an ambition to film it, but he also knew his camera was a completely unique and innovative asset that he was certainly not going to hand over for someone else to use. "I told them they could have my equipment for free" he recalls "as long as they paid for me to go out with them and operate it". Thus began Peter's long standing involvement with the BBC including 'Reefwatch', 'The Trials of Life', 'Sea Trek', 'Life in the Freezer', 'The Blue Planet' and 'Planet Earth' which was the first broadcast in high definition, among many others. 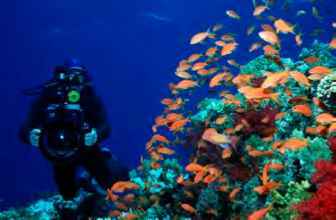 'Reefwatch' filmed in the northern Red Sea was the first ever live underwater broadcast. At the time, production quality camera heads were not integrated with any recording device, thus filming was achieved by passing the image back to the surface where it was adjusted and recorded. The BBC technicians in Bristol were developing their own cameras "but their knowledge was limited" Peter recalls "I knew their equipment wasn't going to suffice, but they were disinclined to listen to a external freelancer. So I made my own camera. It was less snazzy and elegantly engineered than theirs, but it out-performed them every time". used the polecam to film dolphins in the Bahamas coming towards the boat rather than going away, this was yet another first. Peter's next invention was 'the dog'. 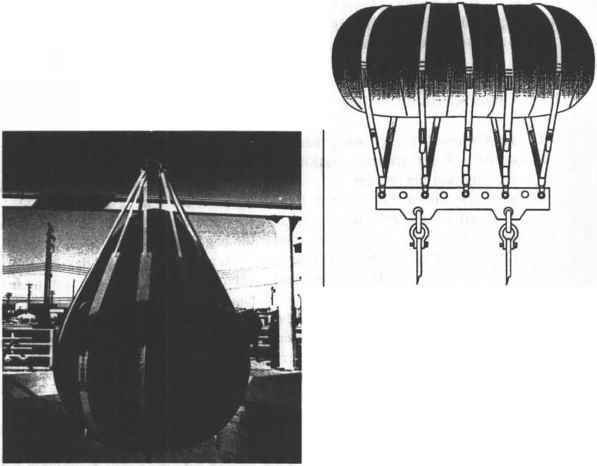 He developed remote capability by buying a broadcast quality recorder and housing it, connecting it to the camera by umbilical wire and ensuring the unit was neutrally buoyant so it would follow him in the water. He developed the camera control system from scratch, making a colour viewfinder so he could control the image. No longer was he reliant on an onshore technician. This was a revolutionary development and used right up until the BBCs spectacular 'Life in the Freezer' displaying life in the Antarctic in 1993, again with David Attenborough. Around this time broadcast quality camcorders became available which Peter housed so everything was finally all in one unit. The following years brought a great variety of projects including, in 1995, 'Great White Shark' portraying the natural behaviour of great whites in California and South Africa. He still considers this to be the definitive depiction of these magnificent creatures, and as usual expresses this with no arrogance, simply as a fact. Peter is often accompanied on filming projects by his wife Georgette Douwma who is a highly accomplished photographer in her own right. The couple compliment each other delightfully with the ease and comfort of very good, old friends and also provide support and strength where needed. The BBC's blockbuster series 'The Blue Planet' came next and Peter's skills were described by Sir David Attenborough thus: "Peter has a remarkable gift of composition. He understands fish just as other cameramen understand chimpanzees. He knows fish so well he can sense what they are going to do. You can see it in his footage. He moves as the fish move. 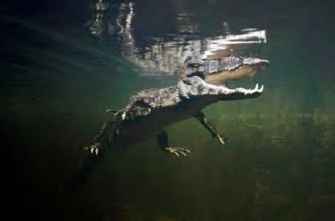 We told him to go to his favourite destination and produce the footage for a film," Attenborough says. "We would construct the story to go with it. He went to Sipadan and the resulting film won a Palm d'Or at the Antibes film festival in France." (HD) technology for the first time. Aware of technical limitations on 'The Blue Planet' the series producer Alastair Fothergill approached Peter a year before filming and asked him to build the HD housings. Peter feared he would invest much time and effort creating high quality, top-end equipment only to see it hired out to other cameramen rather than filming himself, a prospect he was distinctly uncomfortable with. On assurance he would be fully involved he went ahead with the build, only to find some of his fears were realised with less involvement than expected. Apart from the frustration, this had a very real effect on his income. To balance this, after 'Planet Earth' wrapped up, rather than the equipment remaining with the BBC as is usual Peter insisted it be returned to his ownership and he now hires it out himself, maintaining it, continually developing it and still shooting himself where possible. His current involvement is with the BBC's next great wildlife epic entitled simply 'Life'. Peter is intensely environmentally aware. He eats fish, but not reef fish "it seems a bit of a nonsense to go filming them then come back and eat them". He also invests clean-up time on a reef before filming, clearing discarded fishing lines and ropes "it's amazing how much rubbish comes from boats, often operated by ex-fishermen who regard the sea as somewhere to dump rubbish. They don't have an understanding of the reef or what we want to see on it, because they don't see it". It would be forgivable if this uniquely talented man were to have a sense of arrogance or conceit about his many pioneering achievements. Not so. Peter is a true genius, but still more than happy to share his knowledge and discuss any topic with openness and generosity. "I'm just a chap who is learning how to take excellent pictures underwater" he says. It sounds falsely modest, but he really means it.